Aldi is a privately owned chain of discount grocery stores that operates worldwide. The chain operates over 1,400 locations in 32 states and employs 20,000 people in the United States alone. You can find a link to get an Aldi application by going through the application links at the bottom. The business was founded in 1946 in Essen, Germany. Brothers Karl and Theo Albrecht owned the business together until 1960 when they split the company amicably. It had grown to 300 stores by that time. Theo Albrecht then owned Aldi Nord, and Karl Albrecht owned Aldi Sud. 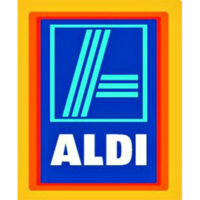 Aldi Sud is the company that owns the chain that operates throughout the United States. The stores purchase directly from manufactures in bulk, and display the products that way. They don’t provide shopping bags, they charge rent for their shopping carts, and they close at night, all of which reduces operating expenses. Shoppers can buy a wide variety of products, but most items are only available in one brand. The company is rapidly expanding and expects to operate 2000 stores in the United States by 2018. Worldwide, the two branches run 10,000 stores in 18 countries and employ 250,000 people. Aldi Nord owns the Trader Joes chain that operates throughout the United States. You can download a printable application form for Aldi jobs at the website. The company has career opportunities which it divides into district management and store staff. The company’s headquarters is in Mülheim an der Ruhr, Germany, and corporate level jobs are not listed on the website in the United States. The business accepts applications for District Manager and District Manager Internship online. Store staff positions include Store Associate, Shift Manager, Manager Trainee, and Store Manager. The company’s streamlined approach eliminates some positions and tasks traditionally associated with grocery stores. The cart rental system means customers return their own carts, and the stocking system means shelf stockers are not needed. You can download application form to take to your local store. How old do you have to be to work at Aldi? You must be 18 to work at Aldi. Prior experience is not necessary to become a Store Associate, but District Manager requires a bachelor’s degree. Be sure to read the job description online and understand the responsibilities before filling out an Aldi application. Benefits of working for this leader in the grocery retail industry include higher than average pay, medical insurance with vision, dental, and prescription coverage, vacation and paid holidays, other paid time off, 401(k), and more. Store hours vary slightly by location. Most stores are open 9:00 AM to 8:00 PM Monday through Sunday. Store Associate – As a Store Associate you would ring up sales for customers at the checkout lane, stock merchandise, and help the Managers with merchandising and inventory. This is an entry-level position that often leads to advancement. Pay for this title starts around $8.50 per hour, and goes up to about $14.00 per hour. Shift Manager – The Shift Manager provides excellent customer service and makes sure the Store Associates are meeting their responsibilities. Shift Managers take on a management role when a Manager is not present. Pay for this position starts around $11.00 per hour and can reach double that amount. This position holds opportunities for advancement. Manager Trainee – As a Manager Trainee, you would work closely with the Manager and District Manager to learn what’s involved in the management of the business. You’ll learn about profits and expenses, and what it takes to run the store on a day to day basis. You’ll learn how to manage staff as well. Store Manager – The Store Manager hires and leads staff, tracks sales and expenses to maximize profits, tracks inventory, writes schedules, and works with the District Manager to ensure that the store is being run to company standards. Starting salary for this position starts around $43,000 per year, and can more than double. Did you graduate high school? While prior work experience is not necessary for entry-level jobs with the retailer, a high school diploma or GED is. Make sure that you meet all of the job responsibilities before you apply for jobs at Aldi. The retailer offers great opportunities for advancement to people who hire in at entry-level. Are you prepared to take a drug test? A drug test is a requirement you must meet before taking advantage of job opportunities with the company. Be sure to ask about any other requirements you may need to meet for employment during your interview. You should be confident that you would pass a drug test before you fill out an application form. Can you meet the physical requirements of this job? Careers in the stores require the ability to lift at least 45 pounds and to stand or walk for long periods. Stocking and moving takes place at a fast pace, usually, so you would need the stamina to keep going when the work gets physically taxing. Would you describe yourself as a people person? Working in the stores requires a lot of interaction with customers. You must be able to talk to customers about their needs in the store and show them friendliness by just chatting with them as well. Show your interviewer your friendly side. If you saw that your coworker was struggling to get something done, what would you do? This company is streamlined, and they prefer hiring people who can multi-task and work together smoothly as a team. If you are willing to work very hard you could do well and advance through well-paying Aldi careers. If you are applying for a management position with the company, you should wear a business suit and present yourself in a professional manner at your interview. If you are applying for an entry-level position in a store, you won’t need a suit. Dress nicely and smile. You can apply for jobs at Aldi stores by downloading a free application and taking it to your local store. If you are interested in a District Manager position and would like to know how to apply for Aldi online, you can go to their website through the application links below. From there, you can fill out an online application and upload your resume. You cannot apply online directly for an in-store position. There is no direct application process to apply for in-store Aldi jobs online. If you are interested in a position at your local store, visit the website to get a printable application for Aldi. While you’re there, you can look up locations and hours for nearby stores. Fill out the application after you’ve printed it and take it to your local store to apply.